In light of recent events in Packer nation, namely the scathing Bleacher Report article by Ty Dunne outlining the underlying issues of the Mike McCarthy/Aaron Rodgers era, fans seem to lay blame at the feet of one, or both of those two men. However, there was a much more powerful force in Green Bay who’s decisions led to many of the problems that arose through the later years of Mike McCarthy’s tenure. That man is former Packers General Manager Ted Thompson. Thompson’s fingerprints lie across even this year’s Packers roster, for better, and often these past few years, for worse. The man who drafted Aaron Rodgers relied far too much on his greatness this past decade. While eschewing re-signing a significant amount of veteran contributors, and trusting his draft and develop philosophy to his own demise. Names like Cullen Jenkins, Charles Woodson, Micah Hyde, Casey Hayward, and more recently Jared Cook were allowed to simply waltz out of the building far before their time was up. All of these players were productive for at least the next two years at their next stops. Jenkins, who’s loss is still hard for many a Packer fan to process, was a huge part of the Superbowl team, and signed a contract worth only $5 million a year with the Eagles. Woodson went on to have three more effective years at safety with the Oakland Raiders. Hyde, Hayward, and Cook have all developed into Pro Bowl players during their post-Packers careers. Still, it was Thompson’s continual gaffes in the draft that ultimately led to both his own and the Packers downfall. Look no further than Ted’s last three drafts in charge to see the major faux pas and reasons why Green Bay finds itself coming off a 6-9-1 season with the most talented quarterback in NFL history at its helm. In perhaps the most famous recent misstep of Thompson’s career, the 2015 draft saw the silver haired GM selected safety Damarious Randall with the Packers top pick, in the hopes that he could become a dominant corner in the NFL. Randall lasted three years in green and gold and is now the starting free safety for the fast rising Cleveland Browns. He was ever-injured in Green Bay and ultimately his effort and attitude led to the trade. Landon Collins, the now Washington former All-Pro safety, went to the Giants three picks later. The next day, Ted decided on former basketball player Quinten Rollins from the University of Miami Ohio with the 62nd pick. Top pass rusher Frank Clark went to Seattle with the very next pick. Unfortunately for Ted and Green Bay, All-Pros David Johnson and Danielle Hunter went with the 86th and 88th overall selections to the Cardinals and Vikings. The Packers took Ty Montgomery, who is now a running back 94th overall. In what is maybe the biggest miss of that class, Ted selected Jake Ryan, the linebacker from Michigan, just four picks after rangy linebacker and future Pro-bowler Kwon Alexander went to Tampa Bay. Now, hindsight will always be 20/20, nonetheless the 2015 class will always come back to haunt Green Bay. In a 2016 draft class chock full of talent and depth the Packers came out with a very good group of players. The first round selection of Kenny Clark turned out to be a master move by TT, as Clark was arguably the best player on the field in Green Bay for long stretches last year. The next day Ted made a rare move and traded up to select tackle Jason Spriggs from Indiana. Thus far in his career, Spriggs has been a major disappointment. Had Thompson decided to pull the trigger on a trade up just a little earlier, he would’ve been in position to grab All-Pro receiver Michael Thomas, who was selected just one pick before Spriggs by the Saints. The larger blunder may have been selecting underwhelming receiver Trevor Davis at 163, while all-world receiver, and Sean Payton’s “most dangerous” player in the NFL, Tyreek Hill went 165th. Yes, I understand the character concerns were (are) there, however in order to build dynasties, one must be willing to take risks. See Bill Belichick trading for Josh Gordon just this year, taking on Randy Moss, and dealing with a host of players with unceremonious pasts. The jury is still out on Thompson’s final draft of 2017. The Packers were desperate for pass-rushing help, and rather than capitalizing on the bloodlines of the Watt family, he chose to trade back and select Kevin King with the first pick of the second round. Now King may still turn out to be an impact player, he has demonstrated all the necessary tools, except he can’t stay healthy. T.J. Watt had thirteen sacks for the Steelers in 2018. Later in the second round, Green Bay could have taken Juju Smith-Schuster, or dangerous weapon Alvin Kamara, or even Cooper Kupp. Instead Thompson chose safety Josh Jones, whom co-ordinator Mike Pettine seems not to trust in his defensive backfield. In essence, Ted Thompson simply lost his touch for unearthing gems in his later years in Green Bay. Many of his picks remain stalwarts on the roster, and yet the last five years have left the Packers, and fans, hoping for much more. His most egregious mistake, and one I believe could’ve had the Packers as a very different team, was selecting Datone Jones 26th overall in 2013, and watching the Texans select All-Pro receiver DeAndre Hopkins with the next pick. Imagine Rodgers throwing fades to “Nuke”, even McCarthy’s offense would have been next to unstoppable with Jordy on one side and Hopkins on the other, and may have led to much more success on the field. Thompson may have been able to correct many of the personnel issues he created in free agency, but it was always his policy to simply sleep walk through the first two weeks of March every year. The Aaron Rodgers/Mike McCarthy era may forever be defined by their relationship, and yet they may still be together were it not for the ineptitude of the Packers aging general manager. 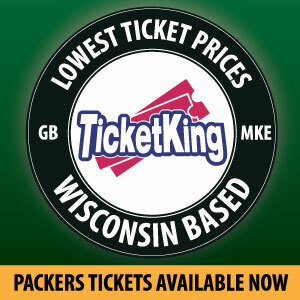 As always let me know what you think on Twitter Packers fans! 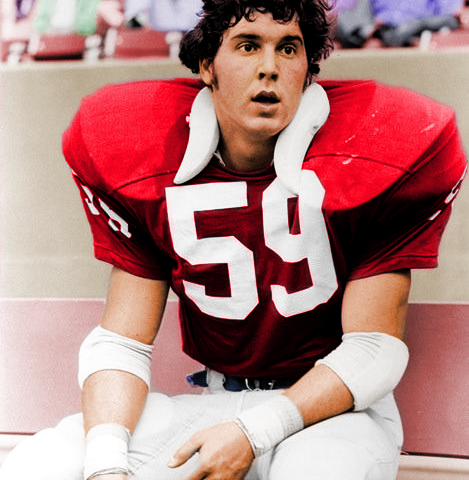 And yes, the above photo is linebacker Ted Thompson of the SMU Mustangs in 1973! This entry was posted in NFL Draft, Packers 2018-2019 Season, Packers History, Packers News and tagged Aaron Rodgers, Green Bay Packers, Landon Collins, Michael Thomas, NFL Draft, Ted Thomspon, TJ Watt. Bookmark the permalink.